Some people like to party it up on noisy beaches over the summer. Others prefer a cruise along the Caribbean. All the more trail riding for the rest of us! For horse lovers and riders in the east, the Blue Ridge Mountains offer some of the most beautiful but perhaps underrated trail rides you can find. That’s especially true in Virginia, since many travelers flock to the Georgia side of the mountain range. If you’re looking for a uniquely unforgettable trip this summer with your horse and family, the VA Blue Ridge Mountains horseback riding trails should be at the top of your list. We’ve discovered the trails and tours below through our research as well as word of mouth. We hope they open you up to both the amazing riding in this area and the wonderful fellow equestrians you’ll meet here along the way. Remember, if you’ve always dreamed of traveling with your horse but need the right trailer, contact Blue Ridge Trailers online or at (434) 985-4151 for personalized guidance. You can also explore our horse trailer inventory here or our horse trailer rental options here. The destinations below have not been visited by Blue Ridge Trailers owners Rob or Donna Martin. Feel free to let us know what you think of these destinations in the comments, should you visit! 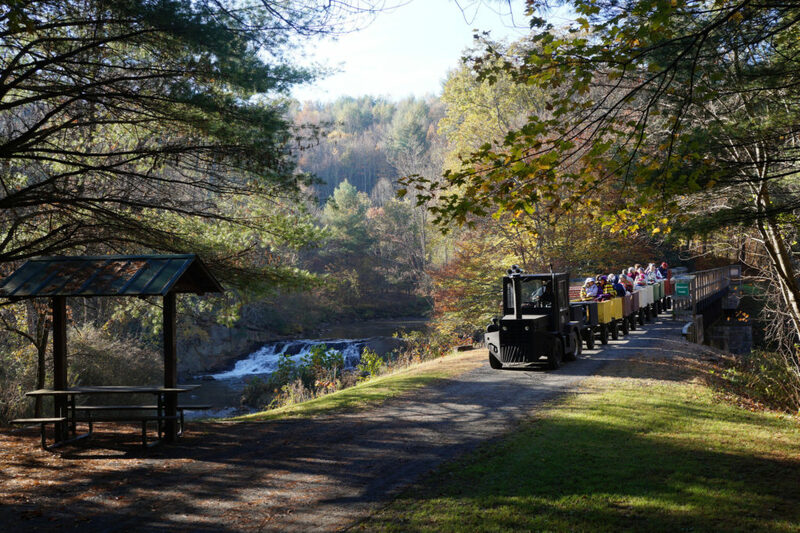 Once a railway, this scenic horseback riding trail winds through southwestern Virginia for nearly 60 miles. There’s a gentle slope and you can come or go with numerous access points along the route. Other popular activities on or along the trail including biking, boating, and fishing. There are more than 1,290 miles of trails within these scenic woods, including several that are closed to motorized traffic seasonally or permanently. Better yet, if you’re traveling with your horse, there are parking areas and campgrounds where you can stay. Check out details for all the horse campgrounds, including location, fees, access to bathrooms, and more from this page. 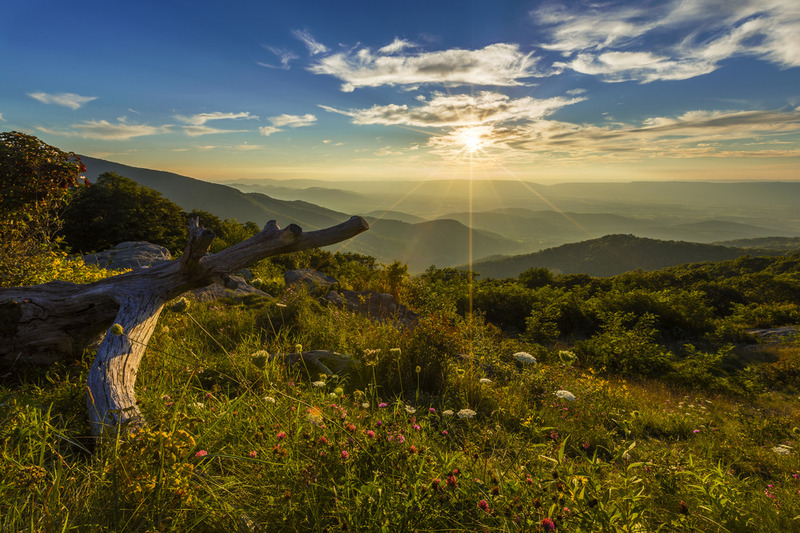 Located north of Charlottesville, VA, Shenandoah National Park offers 180 miles of trails open to horse riding. Trailer parking and campgrounds are available to those traveling with horses, while guided trail rides are also offered (more info on those here). Whether you’re winding your way down the Blue Ridge Parkway to Georgia, or just looking for new mountain views, Moses Cone Park Carriage Trails is a nice option in upper North Carolina. There are 25 miles of multi-purpose trails, including one very unique horseback riding opportunity: the winding Cone Manor Maze along Bass Lake. This favorite among Virginia locals sits within the foothills of the Blue Ridge Mountains. They offer one-hour, half-day, and full-day rides led by accomplished equestrians every day. Lead lines are provided for kids. Another local favorite! Oakland Heights Farm offers daily guided trail rides rain, snow, or shine. Lessons and horseback riding summer camps are also available. Horse lovers might even want to plan a trip around one of the farm’s horse shows. Whether you want a short ride or full immersion in the Blue Ridge Mountains, Appalachian Horse Adventures is a great option. They offer rides from an hour to eight hours and even a trail ride-and-overnight cabin combo. 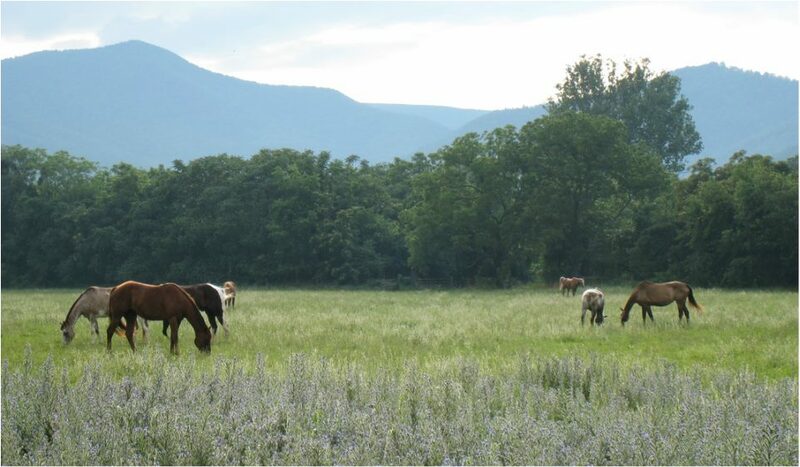 Located in the Shenandoah Valley, North Mountain Outfitter keeps trail ride groups small and personal. You’ll hear local lore from experienced guides while riding for a half or full day. All the riding is on mountain trails. How about a wine tasting with your trail ride? Rebel’s Run offers a trail ride up the Blue Ridge Parkway to a local Virginia vineyard. But if wine’s not your thing, you can also choose the Summit Ride up Afton Mountain. Did one of these wonderful trail riding opportunities catch your eye? Blue Ridge Trailers is happy to provide our trailering expertise as you plan your trip. Contact us online or at (434) 985-4151 with questions about choosing a trailer, horse safety on the road, or anything else.